For your convenience to contact Andhra Bank We have provided all possible information of Andhra Bank. You can contact Andhra Bank on the given phone number 1800 425 2905, +91-40-23252000, Fax: 23232419. To know the address location of Andhra Bank it is also presented here 5-9-11, Dr Pattabhi Bhavan, Secretariat Road, Saifabad Hyderabad 500 004, Andhra Pradesh, India. Contact them by sending email to Andhra Bank you will find an email address here customerser@andhrabank.co.in. To know more about Andhra Bank, go to their website www.andhrabank.in and collect all possible information from there. You can contact them from their website also. If you have any comment to post or you want to register a complaint against Andhra Bank, you are advised to go to the below box and post your view there. 1800 425 2905, +91-40-23252000, Fax: 23232419. Try these numbers 1800 425 2905, +91-40-23252000, to talk to Andhra Bank Customer Care Executive. Let us know if these numbers do not work well. Andhra Bank is an Indian public sector bank headquartered in Hyderabad city of Andhra Pradesh. It is nationalized bank in India and Government of India owning the maximum share of 51.55 percent and Life Insurance Corporation of India holds 10 percent in bank's capital. The bank offers several banking services like consumer banking, credit cards, corporate banking, retail banking, merchant banking, private banking, internet banking, wealth management services, agricultural loans, finance and insurance and products like credit cards, debit cards, etc. to the people of India. It holds a large network of 1,938 branches with 15 extension counters, 38 satellite offices and 1098 ATM centers across the country as of December 2012. The bank was established in the year 1923 by Bhogaraju Pattabhi Sitaramayya in Machilipatnam, Andhra Pradesh. The Andhra Bank is 100 percent CBS as on date and fulfill the needs of customers who want to have access to banking and financial services any time. 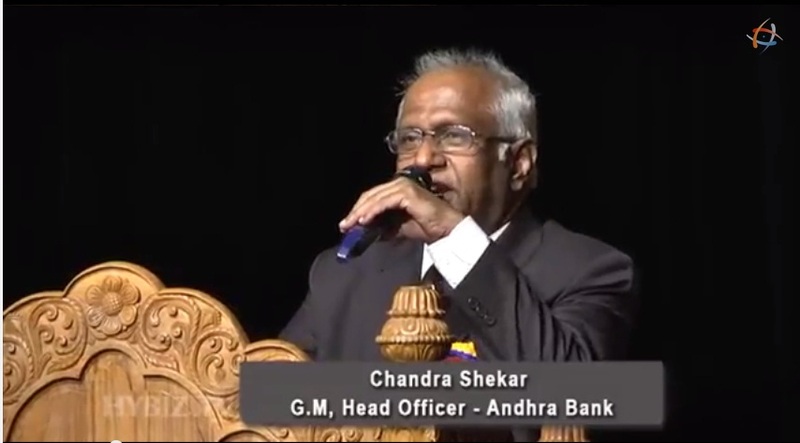 With the change of time, Andhra Bank has brought numerous up gradation in the services. In retail section, it provides facility of easy deposits, loans, cards, DMAT, insurance and mutual funds. 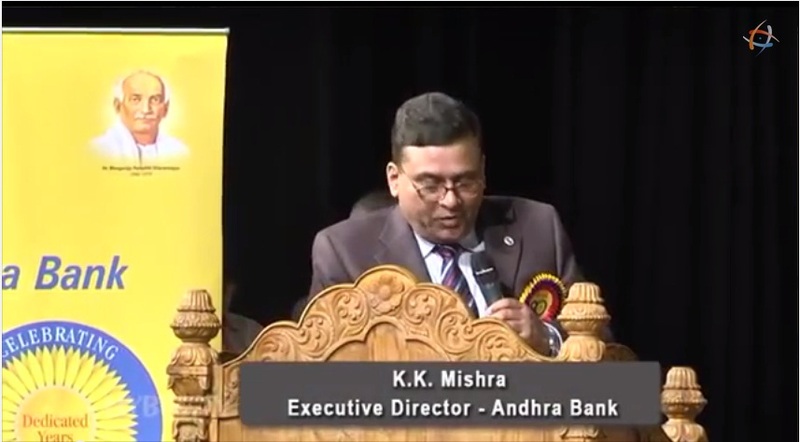 Through the services of Andhra Bank numerous small, medium and large firms have been served. 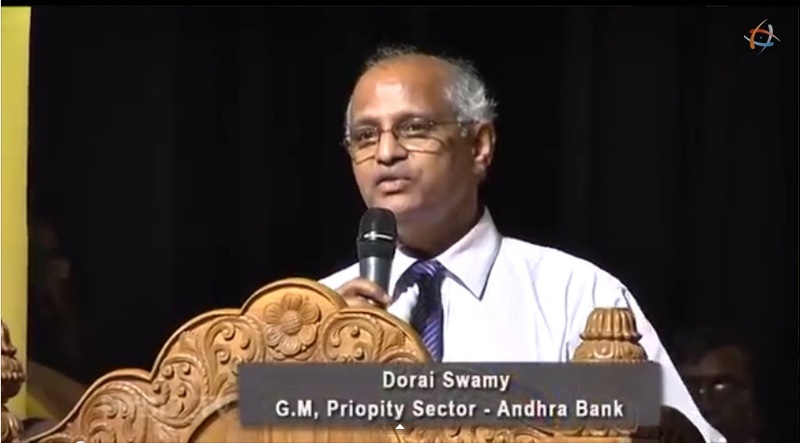 Apart from this, under the corporate services segment, Andhra Bank is offering various credit facilities such as loans, working capital finance, corporate loans, equipment finance, and export import finance, etc. 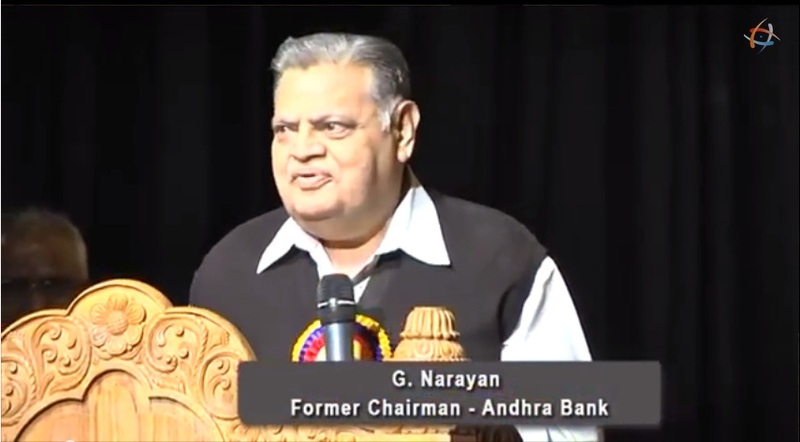 For the people residing outside the India, Andhra Bank has developed separate baking segment, called NRI Banking that allows Indian living abroad to take Benefits of facilities like foreign exchange, investment services and such other services. Like many other banks, Andhra Bank has also given stress on agriculture banking. To strengthening farmer and their agricultural business, Andhra banks provide much financial service for agriculture such as short-term agriculture credit, term credit, etc. The bank also runs few welfare programs for the people those life is dependent on agriculture. It also runs women empowerment programs and also provides loans for agricultural needs against gold. Apart from this, Andhra Bank also gives financial help through Kisan Tatkal scheme that has been meant for emergency needs for agriculture and domestic purpose. The customer care number of Andhra Bank can be contacted from Madhya Pradesh, Jamshedpur, Vijayawada, Andhra Pradesh, Nasik, Kanpur, Erode, Jalandhar, West Delhi, Jammu, Cochin, Kerala, Pondicherry, Hyderabad, Vellore, Ahmedabad, Himachal Pradesh, Goa, Trivandrum, Noida, Delhi, Chennai, Navi Mumbai, Ludhiana, Meerut, Gujarat, North Delhi, Varanasi, Dehradun, Ernakulam, Mysore, Tamil Nadu, Ranchi, Madurai, Mangalore, Uttarakhand, Karnataka, Bhubaneswar, Rajasthan, Agra, Orissa, Jharkhand, Faridabad, Goregaon, Ghaziabad, Bhopal, Lucknow, Allahabad, Aurangabad, Patiala, Amritsar, Raipur, Bihar, Surat, Trichy, South Delhi, Salem, Patna, Jaipur, Gorakhpur, Punjab, Shillong, Pune, Baroda, Bangalore, West Bengal, Uttar Pradesh, New Delhi, Indore, Coimbatore, Visakhapatnam, Mumbai, Chandigarh, Gwalior, Kolkata, Rajkot, East Delhi, Assam, Maharashtra, Gurgaon, Chhattisgarh, Sangli, Nagpur, Vadodara, Thane, Udaipur India, etc. Apart from serving its customers through the network of branches, Andhra Bank delivers online banking services featuring money transfer, account management, bill payment, balance status and alerts at, www.onlineandhrabank.net.in. 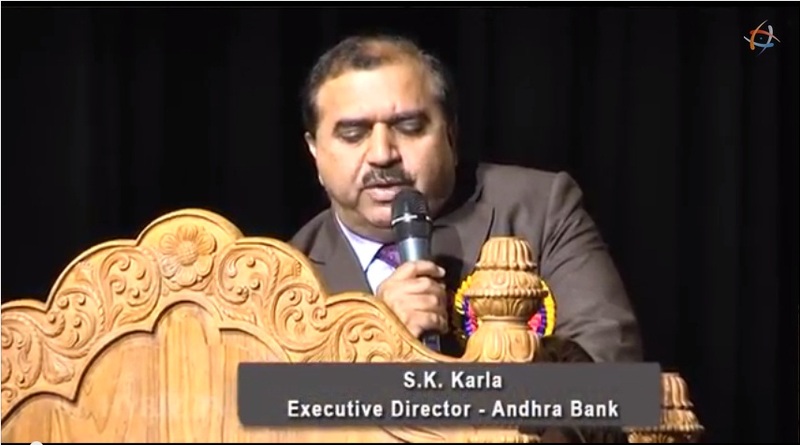 A customer needs to create an ID on Andhra Bank's in order to avail of its online banking facilities. 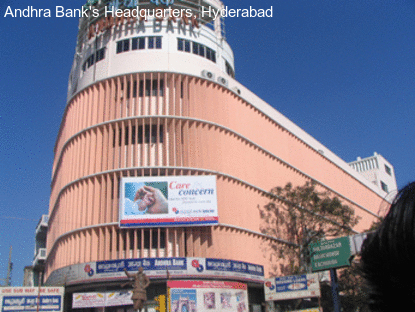 A customer can get the details regarding the usage and facilities of online banking at this weblink, www.onlineandhrabank.net.in/userguide.pdf. Andhra Bank features a line of cards meant for various level income holders. It card series includes Visa Credit Card, Master Card, ATM card and Prepaid Card. Get Access to the information and updates on Andhra Bank's line of card at, andhrabank.in/english/RetailCards.aspx. The customer services of Andhra Bank is available at 18004251515, which is also the number for its telebanking. Andhra Bank also provides a customer care number for its ATM Card, 18004252910. The credit card customer service number of the bank is 18004254059. A customer can ask queries relating to pensions at 18004257701. A customer of Andhra Bank can interact with its Customer Service Department at the toll free number, 18004252905. The other telephone numbers of Andhra Bank of its Customer Service Department are 040 23234313, 23252000 Extn: 2422, 2577. A customer can send queries and complaints to Andhra Bank at customerser@andhrabank.co.in. Andhra Bank receives the complaints of its customers at this address, Nodal Officer for Customer Service, Andhra Bank, Dr. Pattabhi Bhavan, 5-9-11, Saifabad, Hyderabad-500 004. Telangana. Andhra Bank has established its head office at 5-9-11, Dr Pattabhi Bhavan, Secretariat Road, Saifabad Hyderabad, Andhra Pradesh, India. To communicate with the bank, a customer needs to dial at 040- 23252000. Want to get more information about Andhra Bank, Visit their website www.andhrabank.in, and learn more about Andhra Banking. Search in google Andhra Bank with the name Google Plus, Facebook, Twitter, linkidin Pages and you will find more information on these pages. Search in google like Andhra Bank Google Plus Page. When you call to Andhra Bank, ask for toll free number to enjoy charge free calling. At the first step When you call to Andhra Bank please do not forget to tell them that you have found their contact number on findbusinessaddress.com.